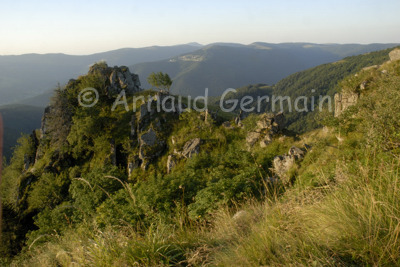 arnaud germain wildlife photography: The Vosges mountains. I was looking for Chamois but the light was very pretty and I decided to go for a few landscape shots. I put my Nikon D200 camera on a tripod and used my 18mm lens. The shot is taken from the Honneck range in the Vosges mountains, in the North East of France.